Our children absorb so much from our high-tech world and learn easily to navigate computers, smart phones, and tablets, yet they don’t get any formal or informal training in psychological skills that will serve them for a life-time. One of the hallmarks of Emotional Intelligence (EQ) is the ability to name our feelings and express them in a healthy manner. Children feel pretty much the same emotions as adults, yet many of them don’t have a sophisticated vocabulary that includes various feeling words. The result is that the child cannot communicate how they feel and they act out or have a tantrum, even in older ages. 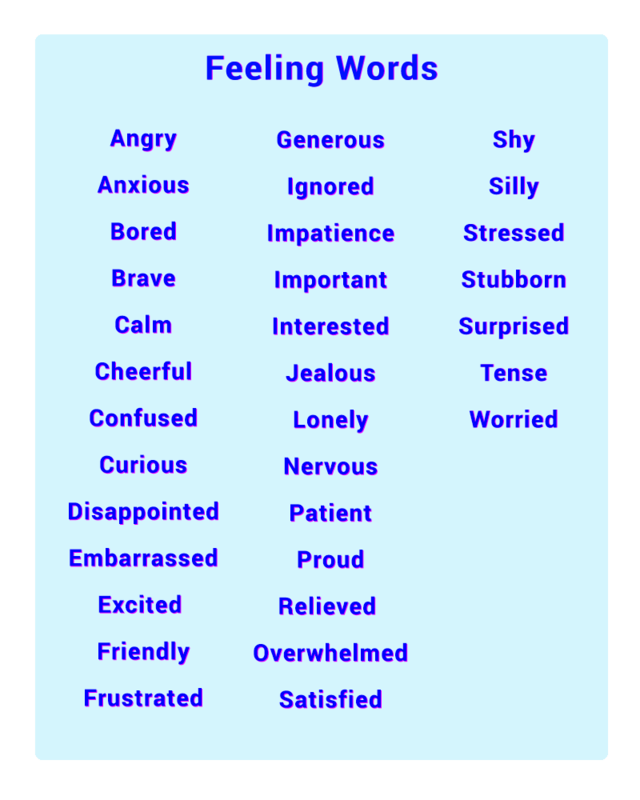 Give your child a variety of feeling words. As you read books together or watch a show, stop, and ask your daughter how the characters feel and why they feel this way. Talk about your feelings during the day. Teach her appropriate ways to handle her feelings. Another important component of EQ is the ability to identify the feelings of other people as well as understand how they feel and why they feel this way. This is a quality that makes us human, helps us appreciate, understand, and connect with others. According to experts, like Dr. Michelle Borba, empathy is the trait that kids need in order to be happy and successful in childhood and even as adults. As empathy wanes, children feel disconnected, lonely, stressed, depressed and a culture of addictions, eating disorders, cheating, bullying, cyber bullying, even suicide, emerges in schools. Children who have learned to be empathetic are more likable, more resilient, and as they grow up, they are better leaders and have better employment opportunities and even longer life spans. 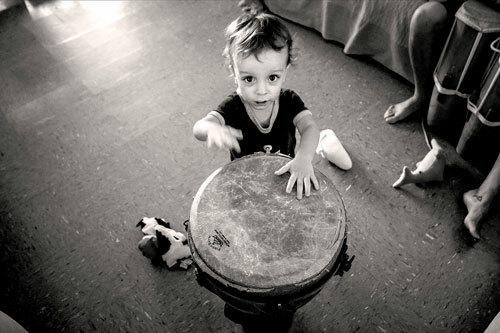 Ask you son how he thinks you felt when… i.e., he grabbed something you were holding. Try with real-life situations and with examples from books and movies: ask him to identify the feeling of the other person and to try to get in their shoes. Use books to teach children to take different perspectives. Jon Scieszka in a humorous retelling of the beloved tales of the three little pigs entitled “The True Story of the Three Little Pigs” shows the reader the story from the wolf’s perspective. This time the wolf is not the bad guy; he just suffers from a terrible allergy. So, when he goes to the pigs’ houses to borrow some sugar, accidentally sneeeezes a giant sneeze and blows the houses down unwittingly. Instead of punishing wrongdoings, such as pulling his sister’s hair because she grabbed his toy truck, have your son see the problem from his little sister’s perspective (wow! It’s a beautiful red truck that makes noise! I want it now). Let him realize that what he did hurt and make her feel sad and mad. Then let your son make amends for what he did wrong (such as apologize to her and offer her the truck to play with). Team members, reading buddies, science partners, whatever the term is the value is on collaboration. Students who collaborate in the classroom show deeper and more creative thinking patters, as well as more empathy for the perspective of others. Researchers and educators agree that among the many benefits of collaboration students develop better oral communication and social skills, exercise critical thinking skills, fosters interpersonal relationships, promotes higher achievement and a life-long love for learning. As a result of all that, children have increased self-esteem. An extra bonus is that the ability to collaborate is a highly valued skill in today’s job market. Invite your child’s friends over for a playdate. Give them a project that they can do together, such as making a teepee out of pillows and blankets or baking cookies or whatever is of interest to them. Make sure that the playdate involves free play and not too much time doing structured activities such as watching a movie or playing a video game. Engage in discussions of realistic “what if..” scenarios, such as “what would you do if you were the coach of your team?” or “what would you do if your friend didn’t want to share his toys?”, etc. Ask older children to help with the care of younger siblings or with everyday household chores and routines. For example, when going grocery shopping ask your child to pick us certain items from a list and then discuss how this helped you cut down the shopping time. Conflict is a part of life, but it doesn’t have to be all there is to a child’s social life! Helping children to find peaceful solutions to their arguments and getting them to think about what works, what doesn’t, what’s fair and what’s not, we pave the way for lasting and enjoyable friendships and social experiences. Conflict resolution is not about compromising or not having one’s needs met. Instead, it’s a proactive way of finding mutually satisfactory solutions and making sure that everybody’s needs are met and that everybody involved ends up being happy and content with the solution. Ask children to identify the problem and help them verbalize their thoughts instead of taking immediate action. Ask children to brainstorm and come up with their own ideas and solutions to the problem. 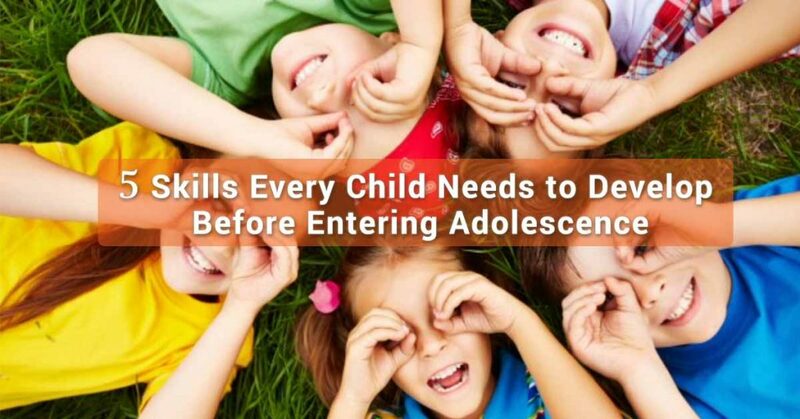 Give children options and empower them making good choices. Discuss the “it’s mine!” conflict and set expectations about sharing. Stress is on the rise nationwide and affects parents and children of all ages. According to the 2017 survey of the American Psychological Association, almost two-thirds of adults feel stressed out and stress levels are at an all-time high. And guess what? Stress is ‘contagious’! Besides all other sources of stress in children’s lives, they also get it from their parents and the adults around them. We recognize that our kids get hyper, stressed out, or even fresh and tend to instruct them “calm down” but we don’t give them the tools to relax and find inner peace and quiet. Stress management skills are essential in childhood and adulthood as well. Ask children to identify sources of stress in their lives (i.e., school, homework, sports, competition, etc.). Turn off the TV and don’t allow younger kids to watch the news. Teach them to stop and just breathe, as a way to calm down and reduce bodily stress levels. Show them how by closing their eyes and imagining a beautiful and safe place can reduce their stress level. Teach them to think happy, positive thoughts and have an optimistic outlook. Give them opportunities to exercise and release energy. Put laughter in your daily schedule. Try to do the above with your children, so that you can benefit from these simple stress management techniques.